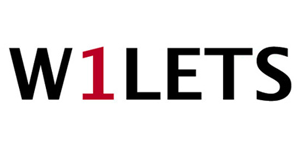 W1 Lets are a prime location lettings agency with start-up funding. The marketing was initially spent with the online portals however after the client found our company on the internet, Buy Now Media managed to create a more ‘out the box’ think tank campaign. Someone on our ad network where offering fleet magnetic advertising on all their cars. The magnets where cheap to print and produce, whilst a strong brand awareness campaign was effectively driving through the west end of London targeting landlords and anyone looking to rent a property.